​What are the differences between them? Many of the key differences can be found at this level, and once you’ve decided whether bush beans or pole beans are better for you, it’s easier to narrow it down within that category. Let’s take a look at the benefits and drawbacks of each. One of the easiest ways of choosing is to consider which will grow best in your garden. Bush beans prefer warmer summers and lots of sunlight, whilst pole beans thrive in cooler temperatures and can handle some shade. This doesn’t mean that bush beans need constant blazing sun or that pole beans need cold, dark corners, but that, generally speaking, a warmer, sun-soaked garden is more suited for bush beans, and a garden that is shaded in parts of the day and in a generally cooler area will suit pole beans more. Another important aspect is the size of the plant and the space you’ll need. 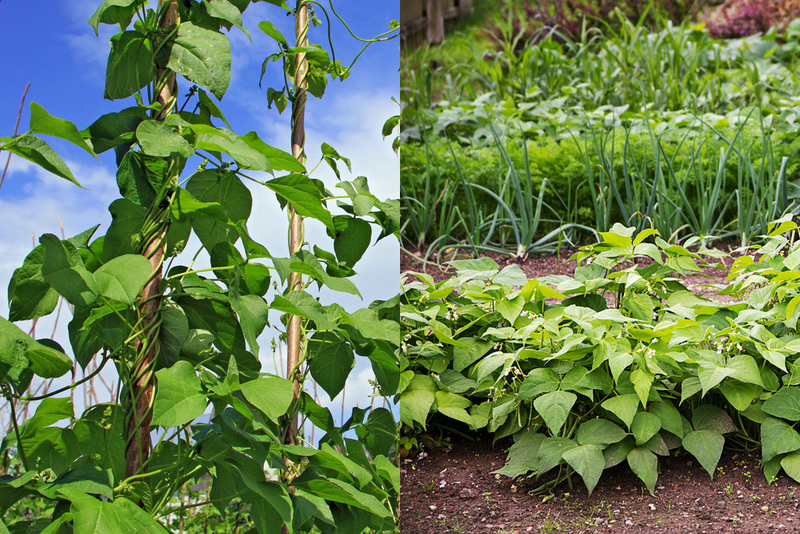 If you have quite a small garden, you should probably consider pole beans as they grow vertically – meaning you don’t need much ground space. 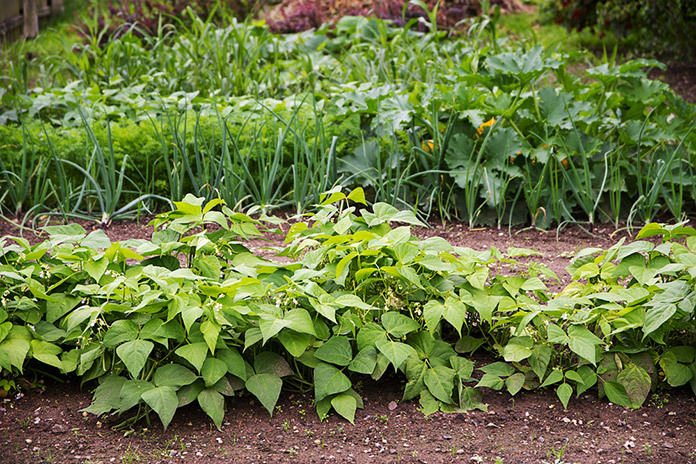 However, if you prefer a neat, low-growing garden, then bush beans are probably better suited. In general, pole beans grow to around 5 or 6 feet, but depending on the species, can get as tall as 10 foot! Bush beans are much smaller, averaging around 1 to 2 feet. This means that pole beans need extra support, usually in the form of a trellis, whilst bush beans can usually hold each other up. Bush beans require less ongoing care than pole beans – they’re generally happy with watering once a week, as long as it’s not drought season, and they rarely suffer from pests or diseases. 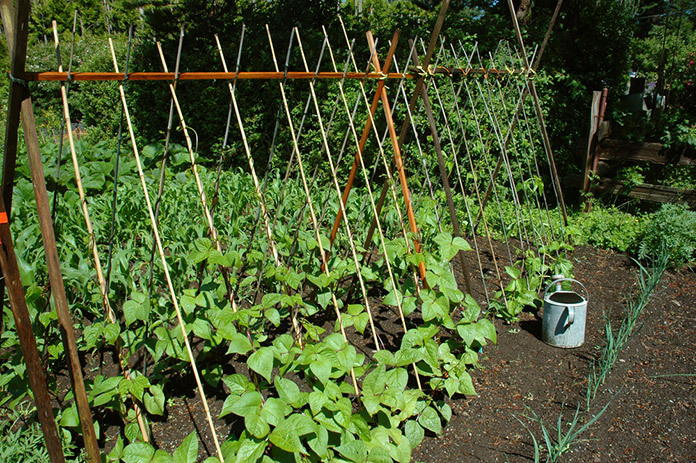 In contrast, pole beans need more attention as they need training onto the pole or trellis. 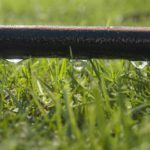 They’re much fussier about water, as they need soil that does not dry out, but is never soggy either, and it’s almost certainly worth adding some fertilizer in too! When it comes to picking the crops, which type you’ve chosen will affect the timing and amount of produce. Bush beans have shorter seasons –they’re usually fully mature within 50-60 days, but they only produce once, meaning once you’ve picked them, that’s it. You can ensure multiple crops through succession planting (that’s where you plant them a couple of weeks apart to ensure they mature at different times). Pole beans are a little different – they take longer to fully mature (65 to 75 days), but produce at a more consistent, ongoing rate. As long as you pick from them every few days they will continue to produce up until the first frost. If you stop, however, they will stop producing so they require a lot more attention at this point than bush beans do. Additionally, despite the extra effort pole beans require, they are often easier to pick – you can see them easily, and, thanks to the height, it won’t involve as much bending and kneeling to do so. Of course, this can be avoided by planting your bush beans in a raised bed, but it’s something to consider. What if you’ve looked at the above points on bush beans vs pole beans, and you’re still stuck? It might be worth considering what you want from the beans themselves – do you want them fresh, or able to be dried? Generally, most beans that are dried for storage are pole beans. They can be eaten fresh, but they’re far more suited for drying than many bush beans. However, the fact the harvest is spread over time can make them a bit of a hassle for freezing – unlike bush beans, which you can do all at once. Some varieties of bean come in both types! You could get one of these varieties – the Blue Lake bean is a good example – and test out which you prefer and find easier to grow. Spending a year growing both and figuring out which suits you more is always a good way to choose, plus you can test a few different varieties for flavor at the same time! So that’s our thoughts on the bush beans vs pole beans question – why not add yours below? If there’s a particular variety that’s your favorite (or one that you’ll never try and grow again), leave a comment and let us know. Remember, the main differences come down to growing space and harvesting season, so take a look at your garden and decide which would be easier to fit in. I’m a fan of pole beans because having some towering beanstalks growing up a trellis adds a lovely bit of vertical height to a yard, but you might disagree!